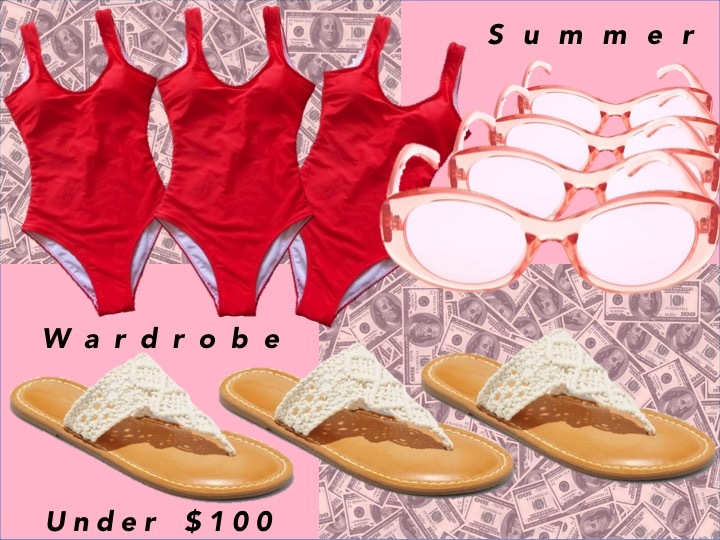 How to Build your Summer Wardrobe for $100 or Less! It's officially summer - cue the striped sundresses, must have one-pieces, colorful sandals and everything white! While you'd love to have it all, if you're like us, you're on a budget. So, for all the fashionistas out there who love a good deal, here’s how to build a summer wardrobe for $100- or less! A white tee is a must for any wardrobe! Not only does it practically match with everything, but it can also look chic when paired with a simple pair of jeans. Don’t bother dishing out big bucks for a casual top. We all know those armpit stains that occur instantly after a month’s wear! Instead, purchase a comfortable t-shirt that’s sure to look stylish without breaking the bank. Whether you're heading to afterwork drinks, or a weekend brunch, a gingham dress is just the thing you need. It's easy, breezy, and won't show wrinkles even after a very long day of fun. We know you have a few pairs of ripped jean shorts in your drawers. But, why not give your bottoms a fun upgrade and purchase a pair that can take you from day to night? 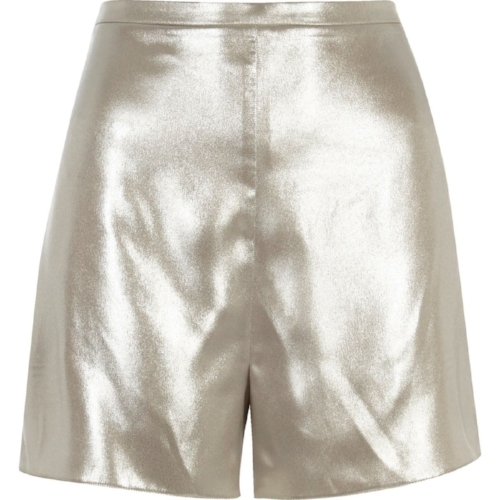 These silky hot pants are a sure fire way to make your summer plans even more fun. Is summer really summer if you don’t sport a crop top? Definitely not! This woven shirt has a stunning dot pattern and ruffled trim. The best part? You can match it with your new high-waisted silver shorts! You definitely need a sturdy pair of summer sandals, but that doesn't mean you need to sacrifice style for comfort! A crochet style means the shoes will stretch to your foot keep your cool and comfortable all season long. Step up your eyewear game with a pair of colorful sunnies and for $9.99, it doesn't get any better than that! There's nothing more classic than a solid one piece in a bold red! With these seven purchases, you’ll be spending a grand total of $95.87! Not too shabby since you’ll be rocking these looks all summer long.